Root beer and sarsaparilla are two popular beverages produced originally by the Native Americans before the arrival of Europeans. Both were introduced as tonics considering their medicinal properties. Initially, sarsaparilla was made from the sarsaparilla vine, while root beer was developed from the roots of the sassafras tree. Modern root beers do not include sassafras due to its potential health hazards. These beverages own a rich history weaved into the culture of the Americans since long ago. Root beer is dark brown and evolved from a mixture of birch oil and the dried root or bark of the sassafras tree. Sarsaparilla is a carbonated soft drink primarily made from the root of “Smilax ornata” (sarsaparilla) root. It was Charles Elmer Hires who introduced the first commercial brand of root beer in the year 1875. Though he wanted to name the product “root tea,” he branded it as “root beer” to sell it among the coal miners of Pennsylvania. By 1893, root beer was available all over the United States, and its nonalcoholic versions became very popular during the period of Prohibition. Root beers are either alcoholic or nonalcoholic and are available in carbonated or noncarbonated forms. The preservative used in almost all brands is sodium benzoate. The modern root beers are flavored with artificial sassafras and are usually sweet, foamy, carbonated, and nonalcoholic. In addition to sassafras, other flavors of root beers are anise, burdock, cinnamon, dandelion, ginger, juniper, sarsaparilla, vanilla, wintergreen, etc. For sweetening, the ingredients used are aspartame, corn syrup, honey, maple syrup, molasses, and sugar. “Safrole,” the root-bark extract of sassafras, is banned by the FDA for making root beer in the USA. Even though production of root beer is centered in America, countries like the Philippines and Thailand also produce their versions of root beer. The tradition of brewing root beer might have originated from the fact that fermented drinks with low alcohol content added to medicinal and nutritional ingredients would improve health. The recipe for making root beer is by boiling molasses syrup and water. The cooked syrup is allowed to cool for three hours, and ingredients such as sassafras root, sassafras bark, and wintergreen are added to it, along with yeast. After fermenting it for 12 hours, it is strained and rebottled for secondary fermentation until a 2% alcoholic beverage is obtained. Subsequent fermenting may lead to getting a higher percentage of alcoholic content. The term “sarsaparilla” is derived from the Spanish word “zarzaparrilla,” which stands for “brambly vine.” The Spaniards came to know about the plant from the Native Americans and took it to Europe. It is believed that people started using it long before root beer, and the dislike of sarsaparilla by some people led to the original creation of root beer. However, sarsaparilla has continued its journey as a drink to the present time. 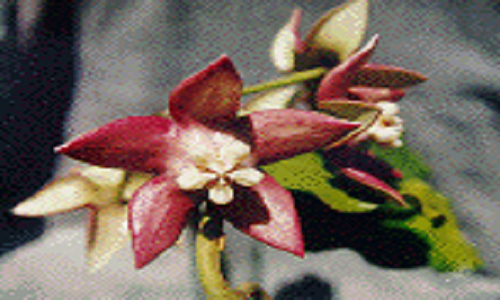 Varieties of the plant can be seen in tropical and temperate parts of the Western hemisphere. The sarsaparilla vine has small, greenish, and dark purplish red berries. The extract made from its root tastes slightly bitter. Ingredients like licorice and wintergreen were often used to reduce its flavor. Sarsaparilla contains vitamins A, B-complex, C, and D and minerals such as iron, manganese, silicon, copper, zinc, iodine, etc. The plant has anti-inflammatory, antioxidant, and toxic properties. It is an aphrodisiac as well as a blood purifier and is used in the treatment of skin diseases. During the period from the 15th century to the 19th century, the extracts of the American sarsaparilla were used for the treatment of syphilis; and, hence, they were exported to other countries. Despite its usefulness against the disease, it was questioned throughout. However, sarsaparilla has only positive effects upon individuals; and today, the sarsaparilla root beer has only one flavoring ingredient—and that is the sarsaparilla itself. Punalur Chandrasekaran. "Difference Between Root Beer and Sarsaparilla." DifferenceBetween.net. November 9, 2015 < http://www.differencebetween.net/object/comparisons-of-food-items/difference-between-root-beer-and-sarsaparilla/ >. Thank you so very much – as an Australian I never knew the history around these drinks. Much appreciated. Hi, you seem to be asserting that Native Americans made before European colonists arrived and then taught the colonists how to make root beer. There is no evidence that such alcoholic beverages were made by native Indian tribes. The colonists brought their knowledge of beer-making with them. 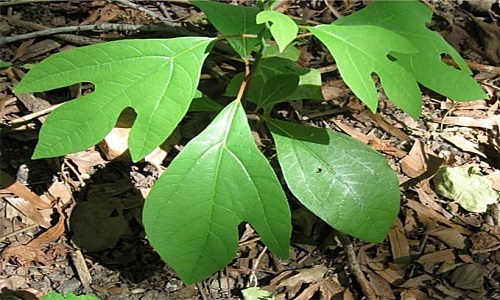 The natives used sassafras and other roots, herbs, and barks as medicinals. Some used sassafras as a tea. The colonist simply made their beers with these ingredients and hence “root beer.” They certainly picked up knowledge about sassafras and other ingredients form the natives. Sasparilla was also sometimes used in early root ‘beers’ before becoming established as soft drink flavoring, a flavoring curiously left out of many of the bottled products, probably because of its bitterness.